ELM Vintage Bar Hire was bought from a company formally known as Quaff and Slosh based in Norfolk, on buying the business we re branded to make it our own. The new owners of ELM Vintage bar hire are Vanessa and Carl who have been together for 10years. Vanessa’s background is very much in the hospitality industry from working reception and events in hotels to working behind the bar at a few pubs around Norwich. Carl grew up with his mum working and then running The Marlpit pub but also owned his own company Softplay2u which has been running for 5years so understands the importance of customer service and the ins and outs of running your own business. 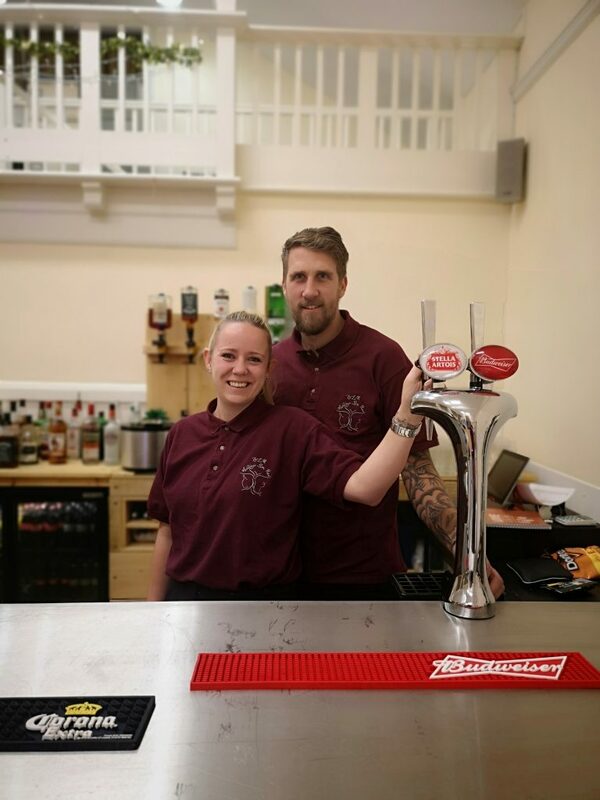 ELM Vintage Bar Hire want to ensure your event runs smoothly so we offer a professional bar service offering a superb range of quality beers, wines and spirits. As you would expect from a company who specialises in weddings – guests will be always be served by trained, uniformed staff with a bubbly personality, dedicated to making your event special. Although our service is always tailored to your requirements you will find below a brief overview of the services we offer and the level of service you can expect. At a cost of £30 we will organise the necessary licensing arrangements on your behalf. Including events at unlicensed premises and extended late licenses. This will be invoiced to you 4-6 weeks prior to your event. We accept cash, *debit/credit card. *3G/4G or a wi-fi connection is required. We promise to provide smartly dressed, polite friendly staff. Included in the supply of the bar is modern, attractive and clean glass wear and all the other equipment needed to serve the perfect drink including refrigeration, ice and glass. We are happy to liaise directly with other parties such as the venue or caterers to ensure that the event runs smoothly.